Led by the 272nd Infantry Regiment under its commanding officer Colonel Walter D. Buie, 69th Infantry Division, the 272nd's 2nd Battalion moved through Naumburg from the north unexpectedly during the night of April 12, 1945, to the surprise of the Naumburg defenders. It crossed the Henne Bridge encountering no resistance, sparring the city damages of troop fighting, machine gun, mortar and artillery firing. The City of Naumburg was liberated with a minimal amount of damage from ground fighting that occurred in many cities of its size. 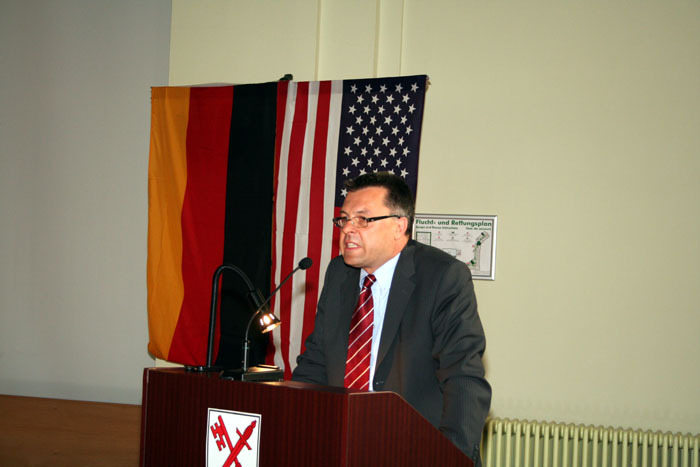 On April 12, 2007, Mr. Michael Rousek of the U. S. Embassy, Leipzig, Germany, accompanied by Naval Vice Attache Frigate Captain Randy Bibby, Berlin, Germany U. S. Embassy, delivered remarks for the United States during ceremonies celebrating the 62nd Anniversary of that liberation from Nazi tyranny by the 69th Infantry Division. Mr. Rousek also spoke as a representative of Mr. Paul Shadle, President of the Fighting 69th Infantry Division Association, Inc., to honor Captain Juergen Moeller, QMC, Ansbach/Bavaria. 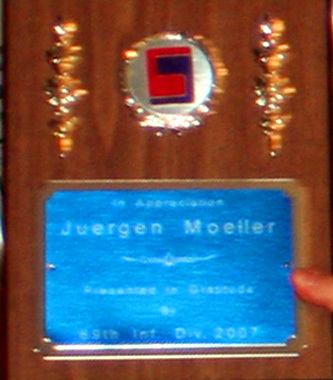 He presented a plaque to Captain Moeller inscribed "In Appreciation and In Gratitude" from the 69th Association. Captain Moeller was instrumental in the placement of a plaque in the Weissenfels, Germany museum honoring the 69th. 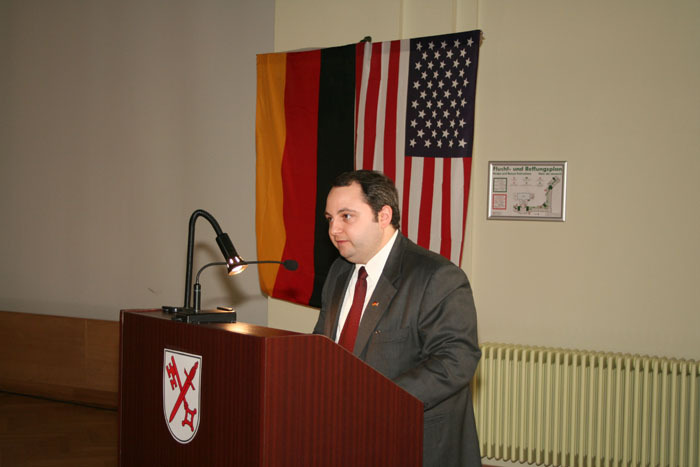 He is the Germany liaison for the 69th Infantry Website and a Honorary Member of the 69th Association. Captain Moeller has also authored several books on WWII. 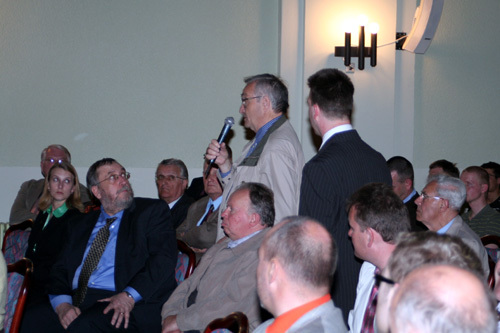 The Honorable Lord Mayor of Naumburg, Bernard Kueper, welcoming officials, dignitaries and guests, April 12, 2007, to celebrate the 62nd Anniversary of Naumburg's liberation from Nazi tyranny. The banner hanging on the podium is the Naumburg coat of arms - the sword for St. Paul - the key for St. Peter. A small view of the approximately 160 attending the celebration which took place in the famed "Kadette" building. Mr. Michael Rousek delivering his remarks. 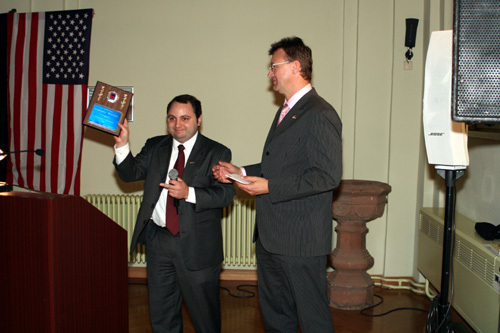 From the Leipzig U. S. Consulate, Michael Rousek presenting the Fighting 69th Infantry Division Assocation plaque "In Appreciation And In Gratitude" for Association President Paul Shadle to Captain Juergen Moeller. Bibby and his wife, being greeted by the Honorable Mayor of Naumburg, Bernward Kueper, on the right. 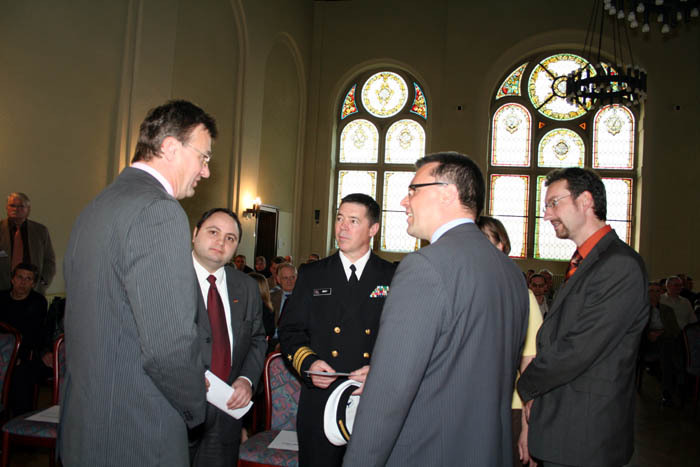 Captain Moeller, Mr. Rousek, Captain Bibby and Honorable Mayor Bernard Kueper discuss the day's happenings. Captain Juerge Moeller presents Major Klaus-Pete Wille, Federal Armed Forces, all WWII books he has authored while Mr. Torsten Philipp looks on. 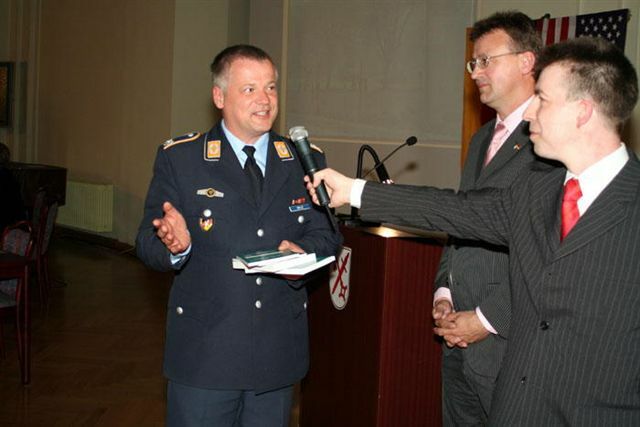 Major Wille is director of the "Bundessprachenamt" which teaches the German language to military personnel from non-NATO (North Alantic Treaty Organization) countries. Mr. Philipp arranged for the dignitares to be present as well as the guests and was organizer for the events that took place in Naumbug for the April 12, 2007, celebration. Three of the Naumburg celebration dignitaries walking in front of the famed former "Kadette" building but now called the "Bundessprachenamt". 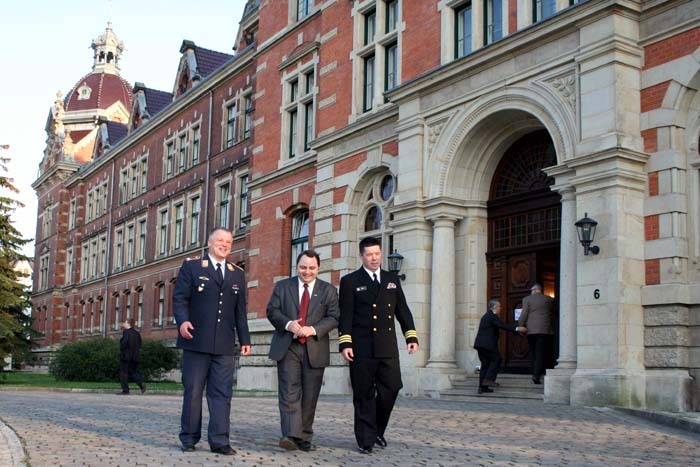 Left is Major Klaus-Peter Wille, Federal Armed Forces; from the Leipzig U. S. Consulate office, Honorable Michael Rousek; Captain Randy Bibby, of the Berlin U. S. Embassy. The "Kadette" Building was used in pre-Nazi time as a German military cadet officer training school. The Nazis used it as a school for its young elite. For a short time in 1945, the American Army's V Corps used it as its headquarters. Today, it is used as the "Bundessprachenamt".